In the week leading up to Easter, every evening at 7:30 pm there will be an ecumenical service of worship. 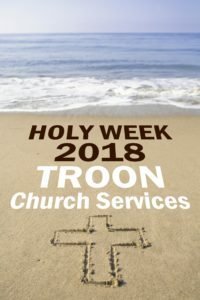 This year these services are being held in St Ninian’s Scottish Episcopal Church, in Bentinck Drive, led by Rev Canon Tom Montgomery. 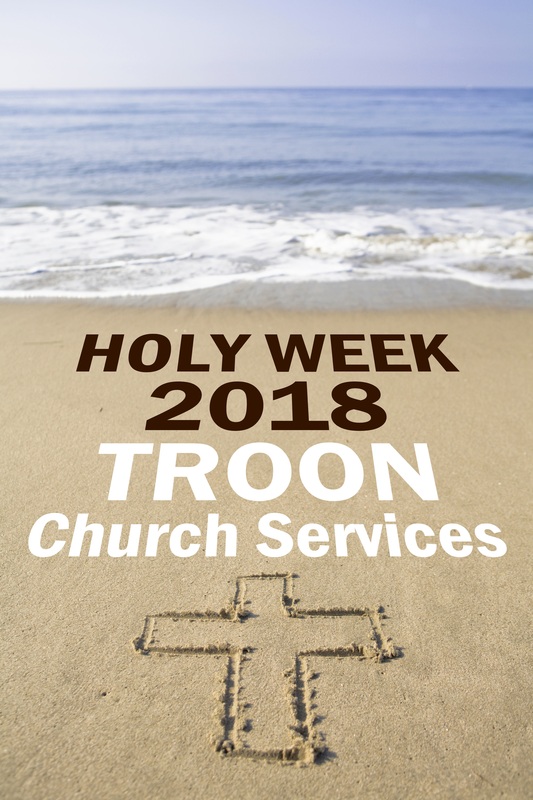 Over the course of the week, preaching will be shared by clergy and leaders from the various Troon churches. On Maundy Thursday (29th March) the evening service will include the sacrament of Holy Communion. There will be an additional “bus timetable friendly” afternoon communion at 2:30 pm here in Troon Old Parish Church. From 12 noon till 2:30 pm, Troon Old Parish Church sanctuary will be open as a place of quiet reflection. At 8 pm there will be an Easter Vigil at St Ninian’s Scottish Episcopal Church. Breakfast – in the form of very tasty hot filled rolls – will follow in Portland Parish Church.